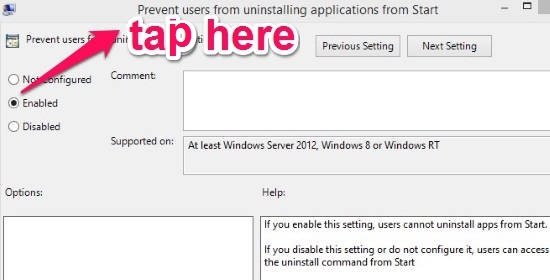 This tutorial helps you to prevent different users from uninstalling modern apps from Windows 8 Start Screen. 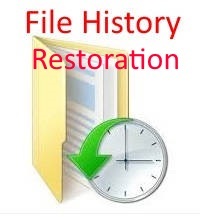 You don’t need to install any additional software for this, your Local Group Policy will do this for you. Do note that Local Group Policy is not available in Home Edition of Windows 8. 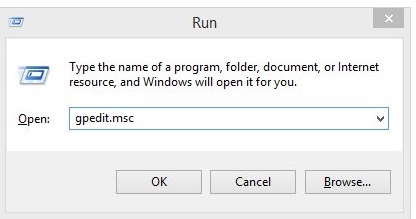 Once you follow the steps given in this tutorial, the option of “Uninstall” from Windows 8 Modern apps. You can see this in screenshot below. 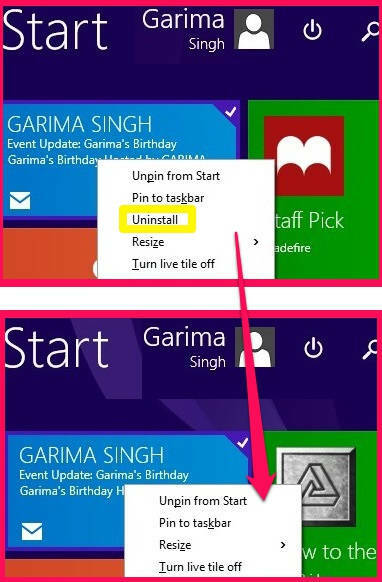 We all know, in a single click, we can easily install modern apps and can add them to the Start Screen. In a single right click, we can uninstall them as well. Other than us, many people use our PC, specially kids. Accidentally uninstalling any modern app loses all the data saved in that app as well. So, with this tutorial, you will be able to prevent any user from uninstalling the app. I recommend that you should create any other user account and do this setting in that account only. Else, you won’t be able to uninstall any app as well, until you change the settings back to default. + R. In the Run, type gpedit.msc. 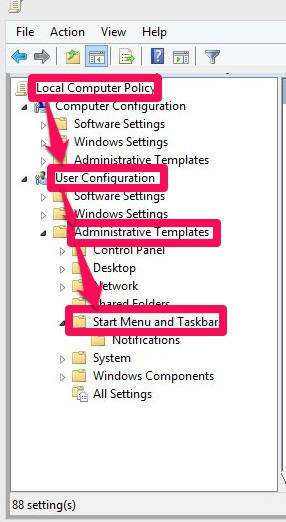 Step 3: Click on Start Menu and Taskbar folder. From the right panel double click on the setting that says “Prevent users from uninstalling applications from Start”. Step 4: It will open a new window for the same. Now to prevent users from uninstalling applications from Start Screen, click on the radio button that says “Enabled” (yes, to disable the uninstall feature you need to click on enabled). Now apply the changes and then click on “OK”. Step 5: Now go to the Windows 8 Start Screen. Right click on any app, you will find the uninstall option disappeared. In Windows 8, the uninstall option appears on the bottom panel, while in Windows 8.1 the uninstall option appears in the list only. 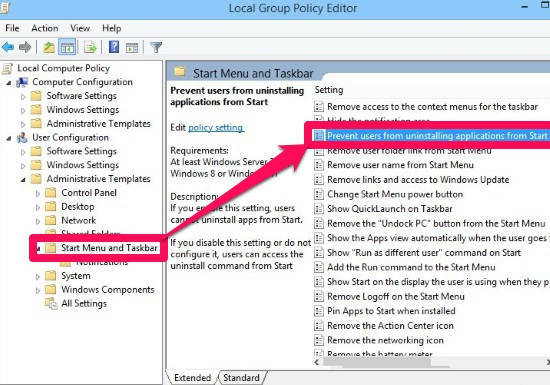 But to uninstall any app in Windows 8 or Windows 8.1, you just need to right click on the app. This tutorial will take care of disabling Uninstall option in both Windows 8 as well as 8.1. 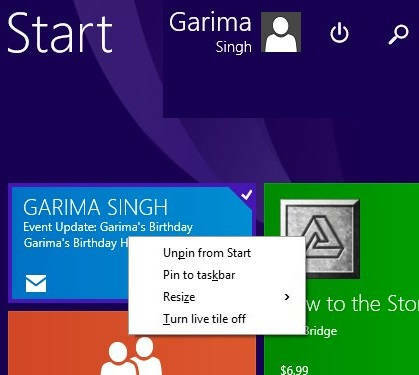 With this tutorial, you will be able to prevent different users from uninstalling modern apps from Windows 8 Start Screen. Just follow the steps here to ensure the apps that can’t be uninstalled.